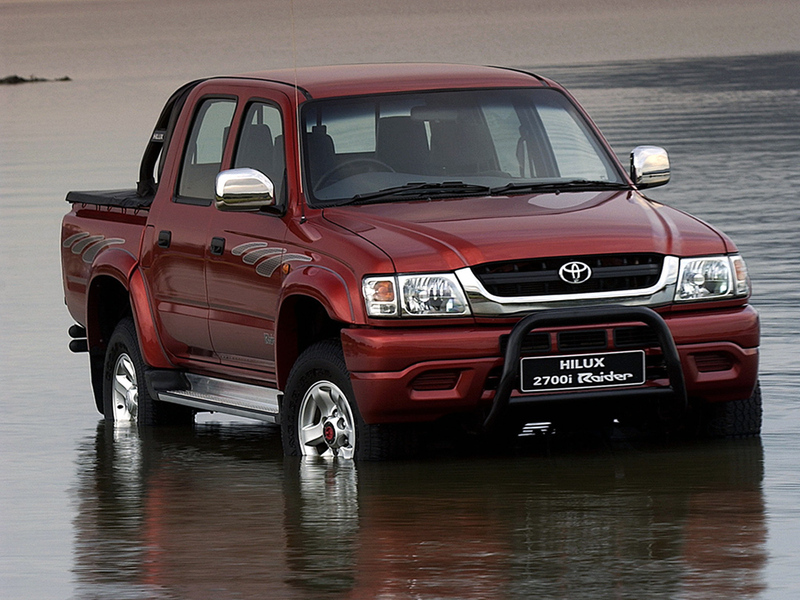 The Toyota Hilux is a light commercial pickup truck produced and marketed by Toyota since 1968. 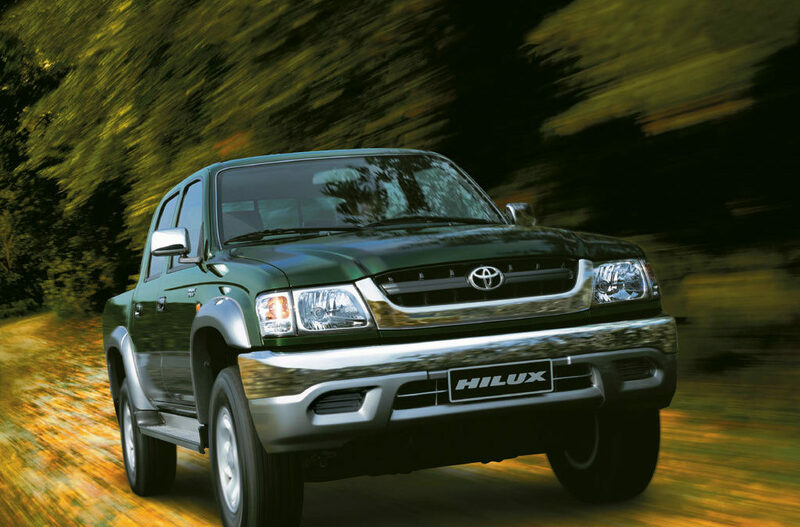 The Hilux is considered a an undisputed king in its class and has earned a reputation as one of the world’s most trusted and reliable commercial vehicles. The year 2018 marked the 50th anniversary of world’s most successful pickup truck. In all these years the credentials of this ultra-tough machine are proven beyond doubt. It has sold over 18 million units and is clearly the workhorse of choice for many around the world. 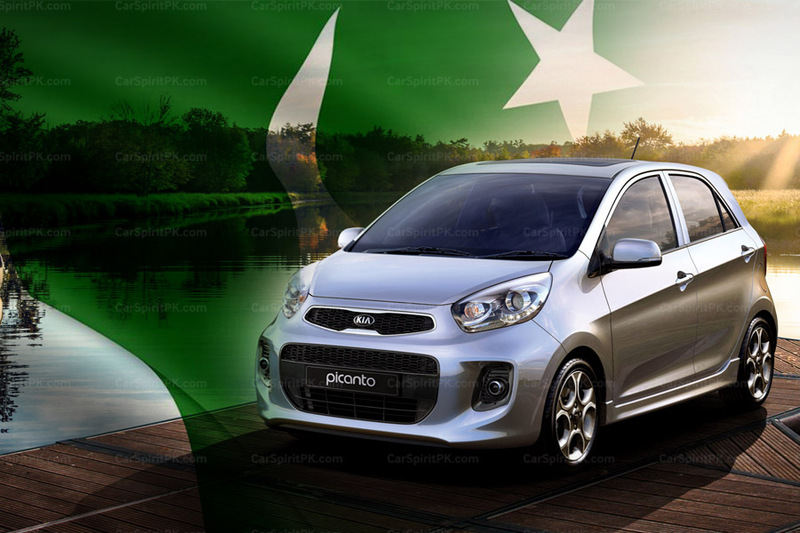 Related: Can Datsun Become a Successful Brand in Pakistan Once Again? 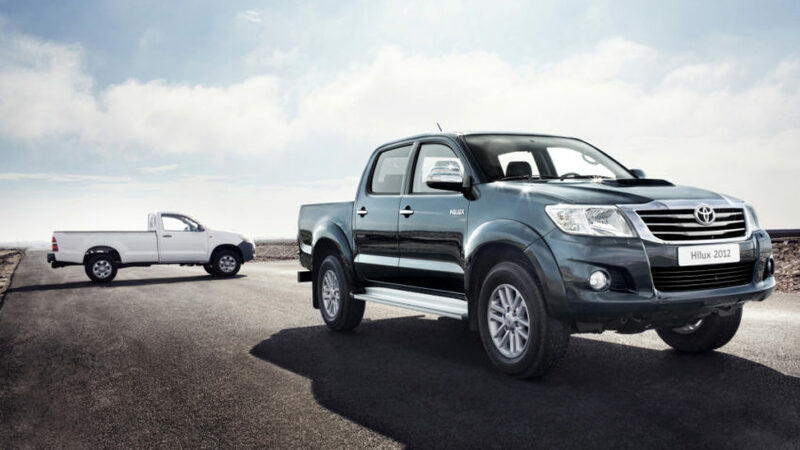 Since it was first introduced in 1968 the Hilux has gradually developed over the years to become a complete motoring solution, bridging the gap between commercial use and everyday driving needs. 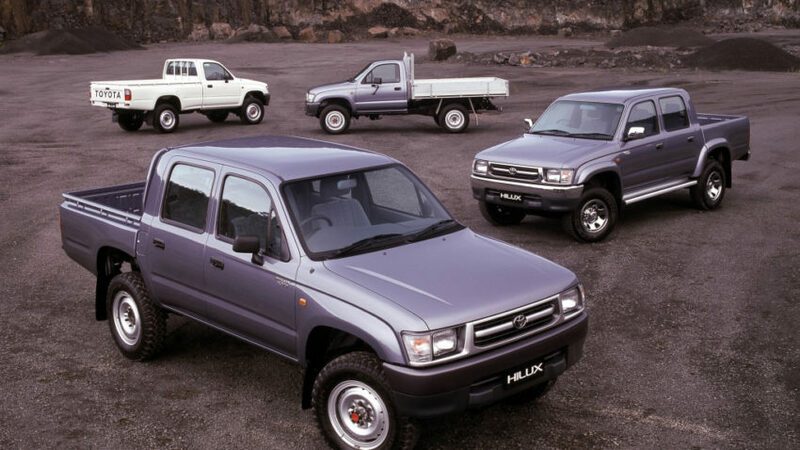 The history of the Toyota Hilux begins outside of Toyota Motor Corporation. 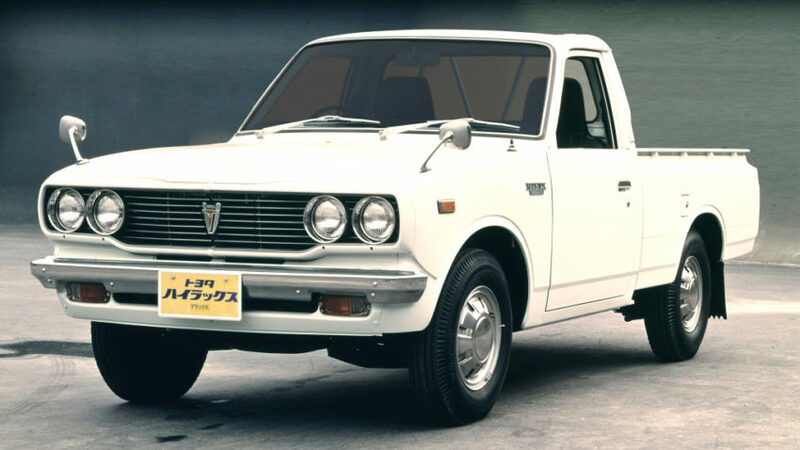 Its roots are found in the Briska line of small pick-ups made by Japanese commercial vehicle manufacturer Hino Motors since 1961. Toyota’s history with pick-ups dates back to the SB model of 1947 but halfway through production of the second-generation Briska, Toyota partnered with Hino Motors and pushed forward minor model improvements. 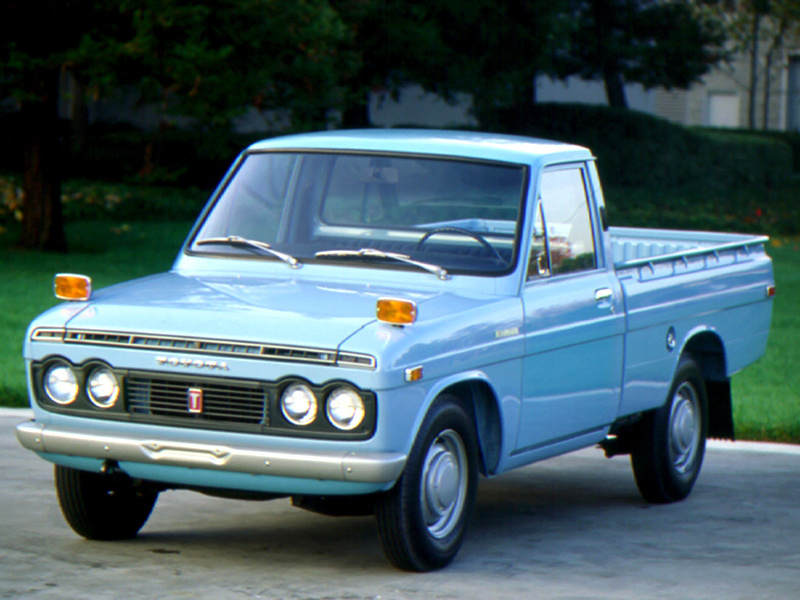 The Hino Briska was renamed as Toyota Briska from 1967, signaling a refocusing of the Hino brand towards production of medium- to heavy-duty commercial vehicles instead. 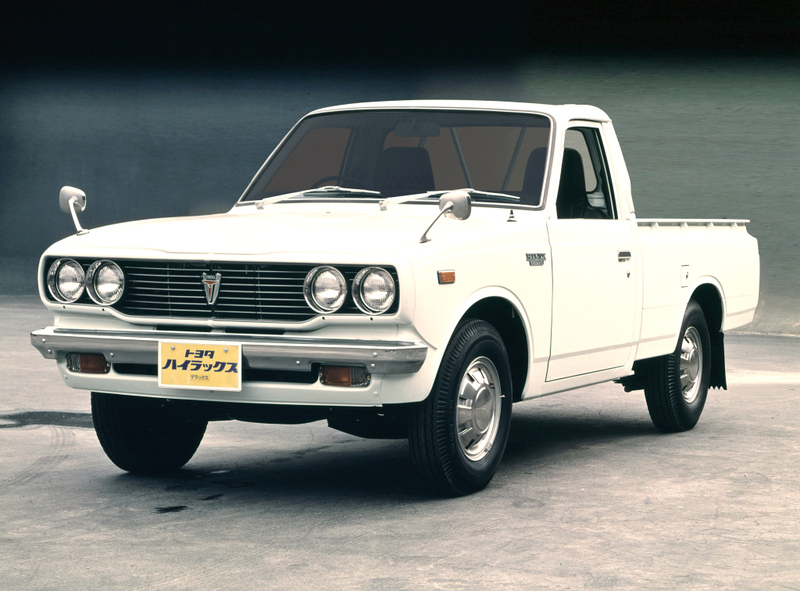 It was March 1968 when Toyota dealerships in Japan took delivery of the first genuine Toyota Hilux pick-up. 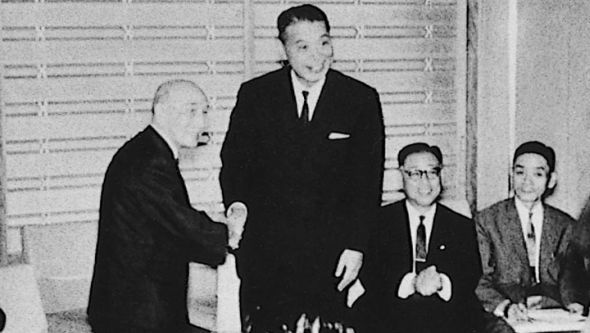 This new model with an N10 chassis code, although was conceived by Toyota, continued to be engineered and built at Hino Motors’ Hamura Plant. 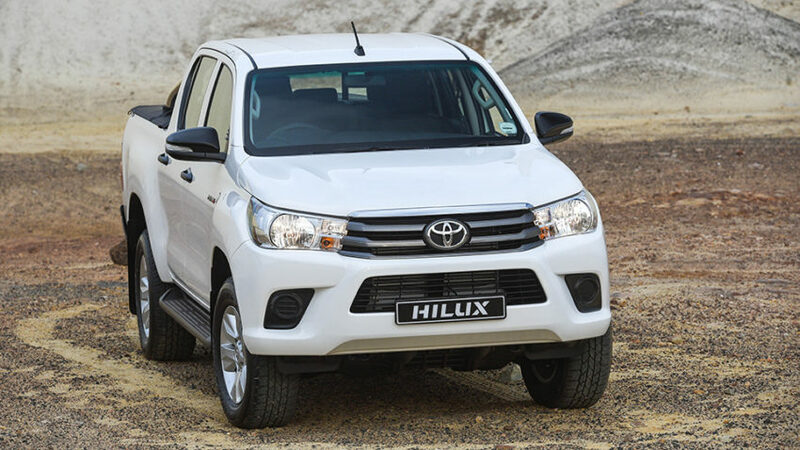 The Hilux name is a contraction of ‘high’ and ‘luxury’. It utilized a separate frame construction with a double wishbone/coil spring suspension set up at the front and rigid axle/leaf spring arrangement at the rear. 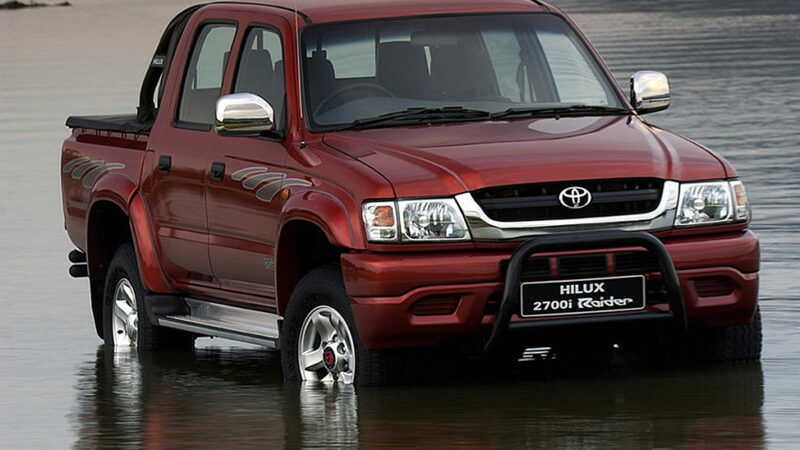 The Hilux N10 was powered by a 1.5-liter 70 PS engine (2R) mated to a 4-speed manual with a column shifter. 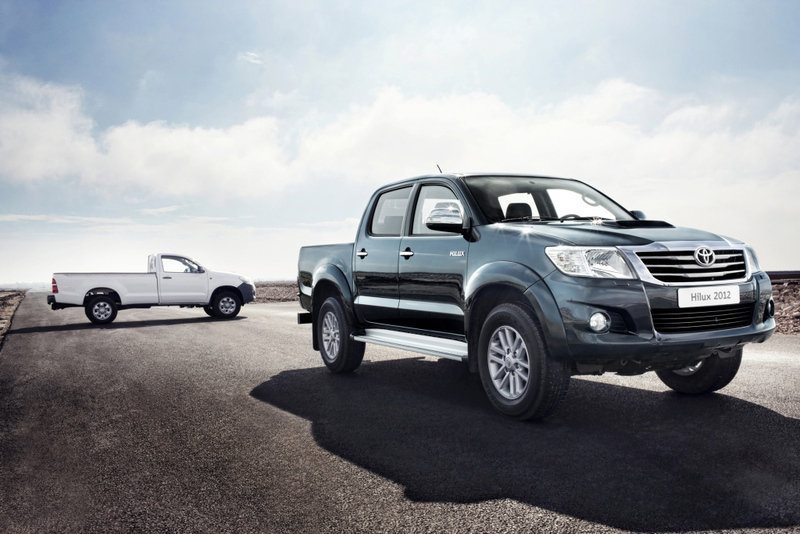 Hilux N10 had a passenger capacity of three and a payload capacity of 1,000 kg, with a cargo bed that was 1,850 mm long. 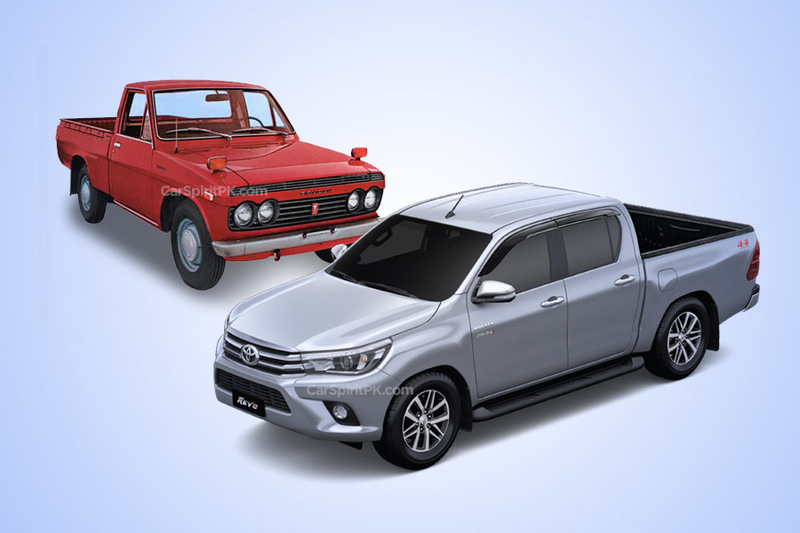 Just over a year into production in April 1969, the Hilux range expanded to include a long-wheelbase model. While February 1971 witnessed the arrival of a gutsier 1.6-liter version that replaced the base 1.5 liter engine. The second-generation Hilux was launched in May 1972 marketed as 1973 model. It was essentially a reworked version of its predecessor N10, featuring an updated body with slightly extended wheelbase, more comfortable interior and carry-over engine range. The length of the deck and the maximum payload capacity also remained unchanged. 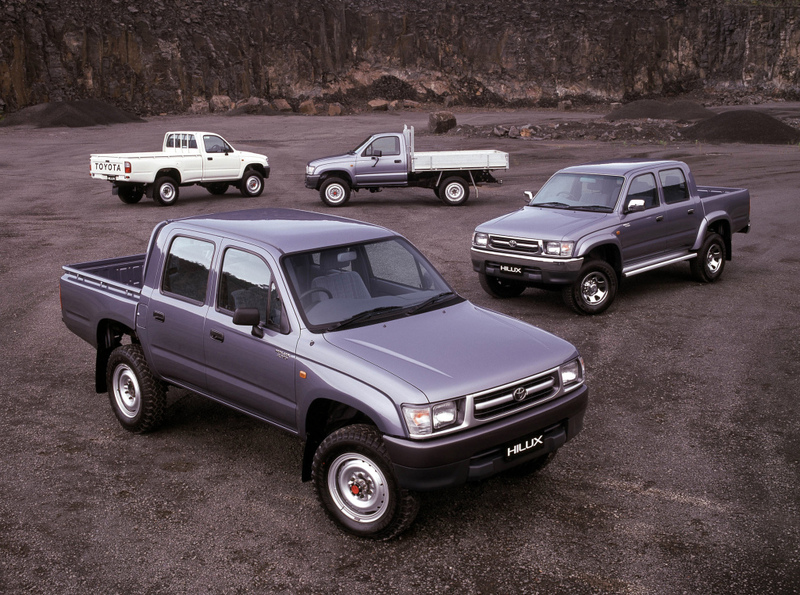 The second-generation Hilux also offered improved safety features with servo-assisted dual brake master cylinders and load-sensing brake proportioning valves. A column-mounted four-speed manual gearbox was the standard transmission setup, deleting the three-person bench in favor of two individual seats. 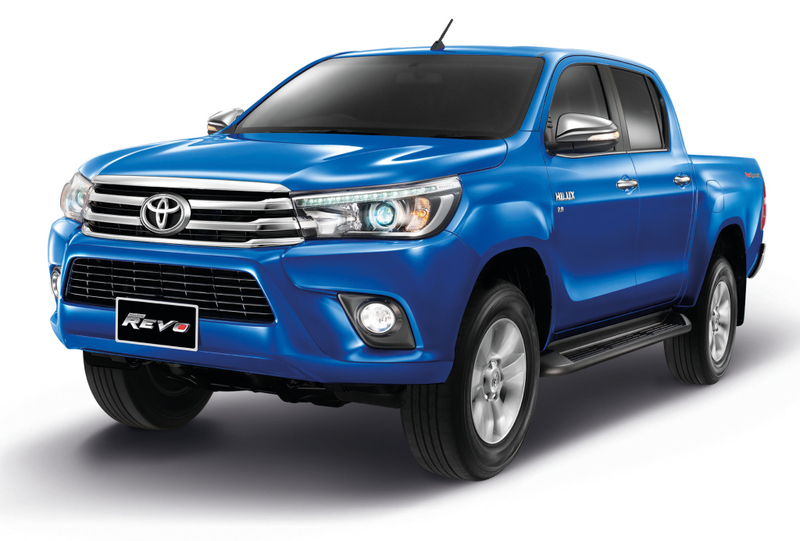 A higher specification model was introduced to some markets from 1974 onwards, offering a more powerful 2.0-liter R-series engine and optional three-speed automatic gearbox, the first of its kind ever fitted to the Hilux. 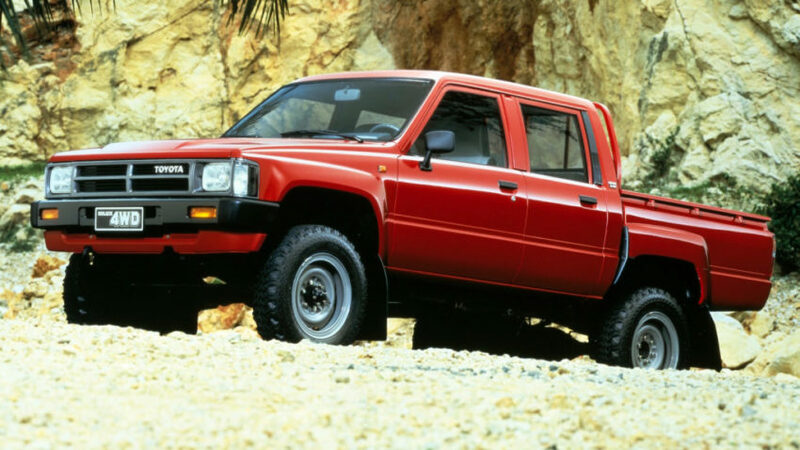 However by October 1975 the 2.0-liter engine was discontinued in all markets, consolidating the Hilux to one 1.6-liter unit to meet new emissions standards. 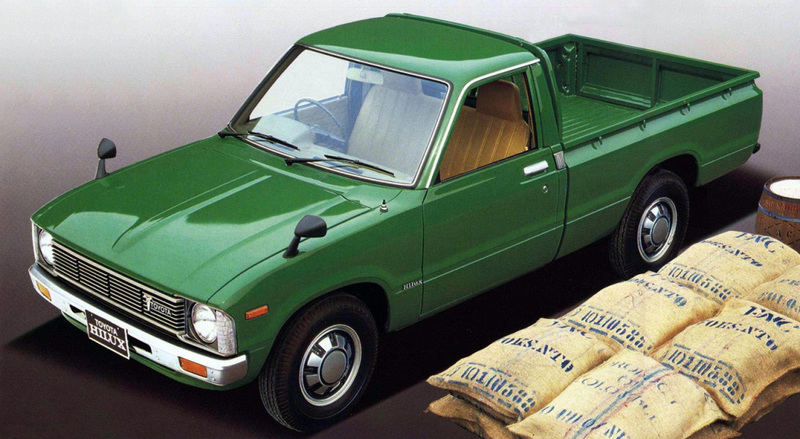 The third generation N30 series Hilux went on sale in September 1978. There were now three standard-length and four long-wheelbase derivatives. 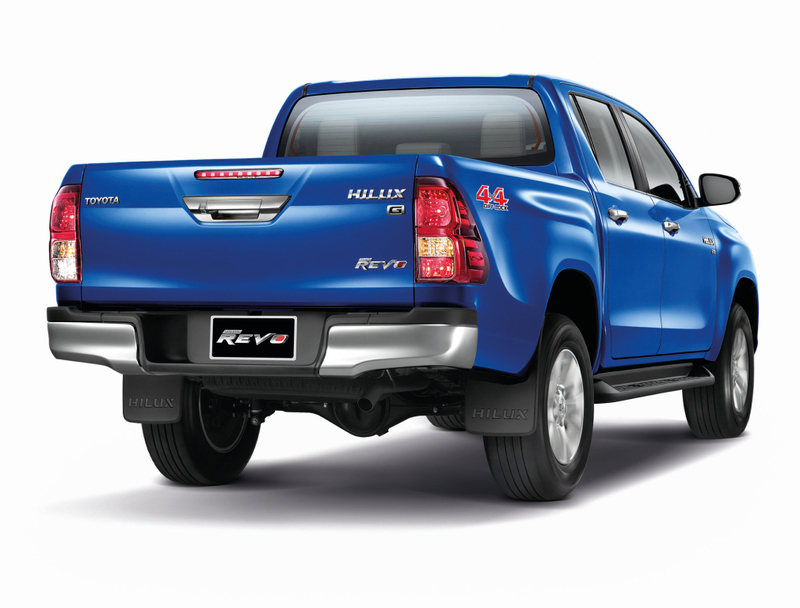 The Hilux N30 was designed to offer saloon-like specification and ride comfort. This led to an evolution of the predecessor’s double wishbone front suspension that replaced the coil springs for a torsion bar. 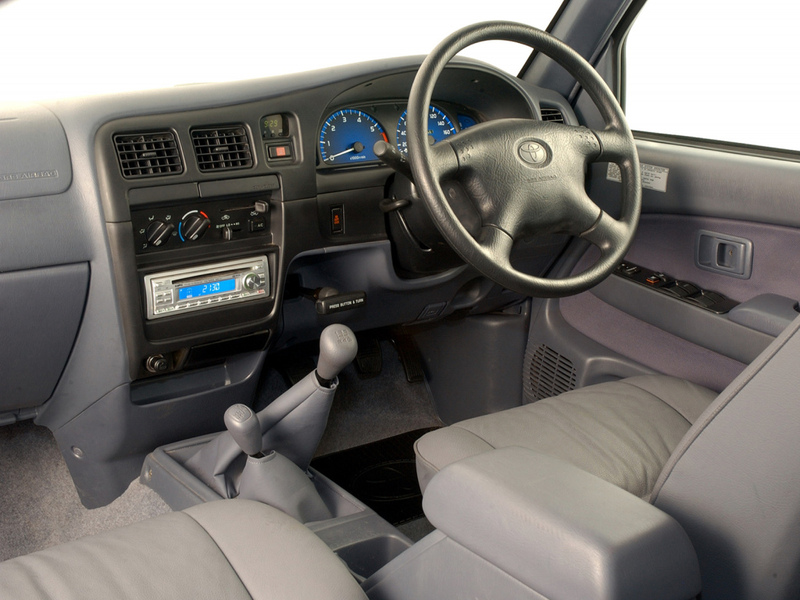 A new top-of-the-range Super Deluxe model was introduced, its extended cab was 90mm longer than standard, significantly improving interior space. 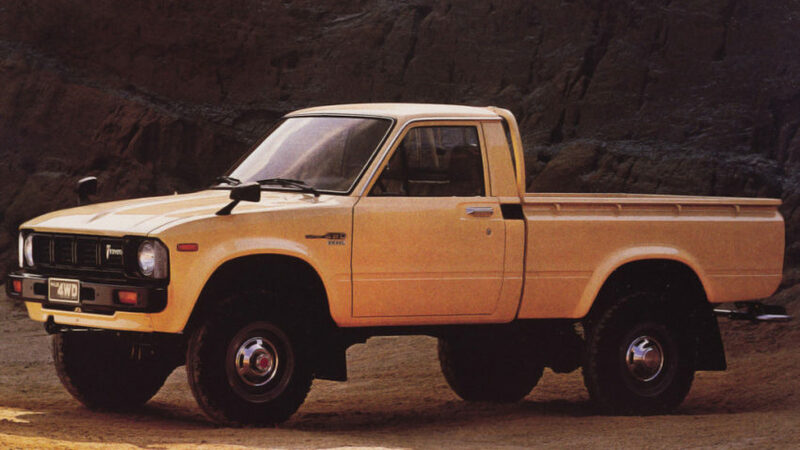 The Super Deluxe was later supplemented with a full double-cab version with four doors and two rows of seats. 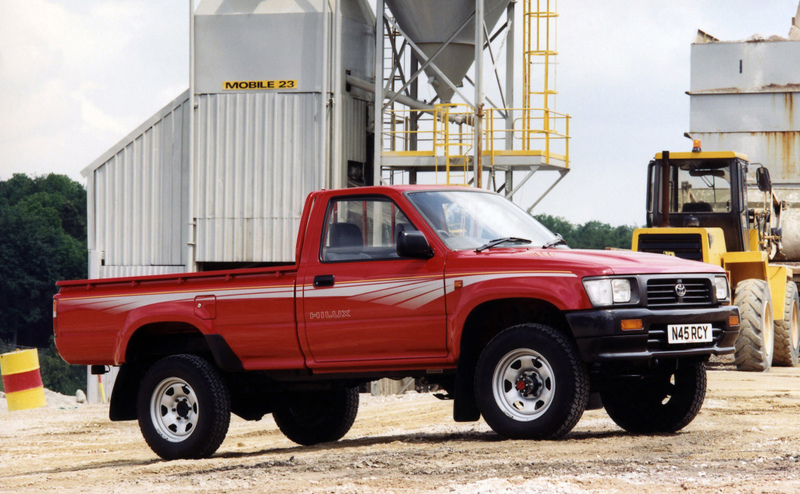 All higher-grade models received front disc brakes as standard, and a Toyota-embossed tailgate. 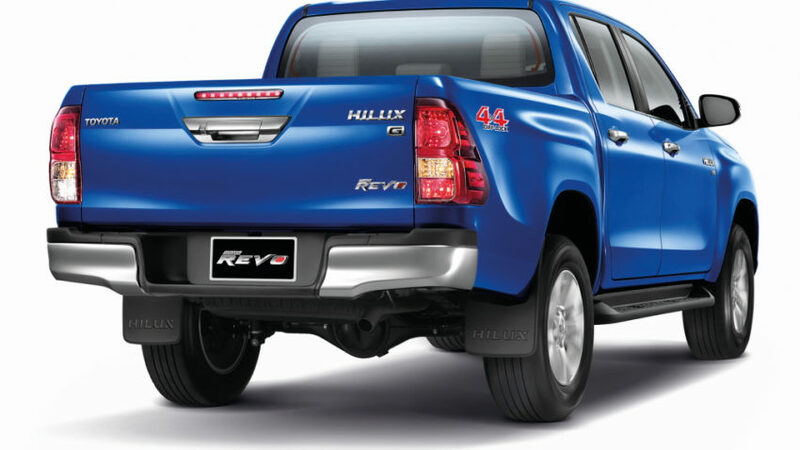 The new dual-purpose nature of Hilux was reinforced by the first four-wheel drive model in October 1979, which adopted the driveline and gearbox transfer case from the 40-series Land Cruiser allied to a reworked version of the now-reinstated 2.0-liter R-series petrol engine. Diesel power followed with a 2.2-liter L-series engine, available for the first time in both rear- and four-wheel drive formats. 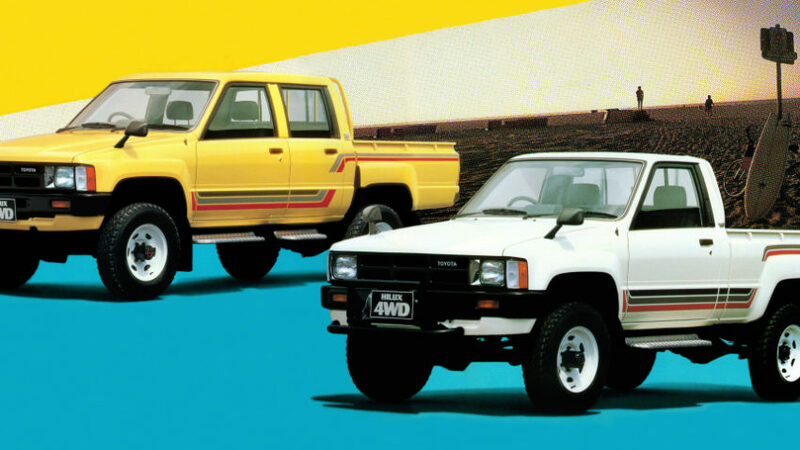 Toyota released the fourth generation N40 chassis Hilux in November 1983 and for a while it was available alongside its predecessor N30, which remained on sale in some markets as a rear-wheel drive base model. 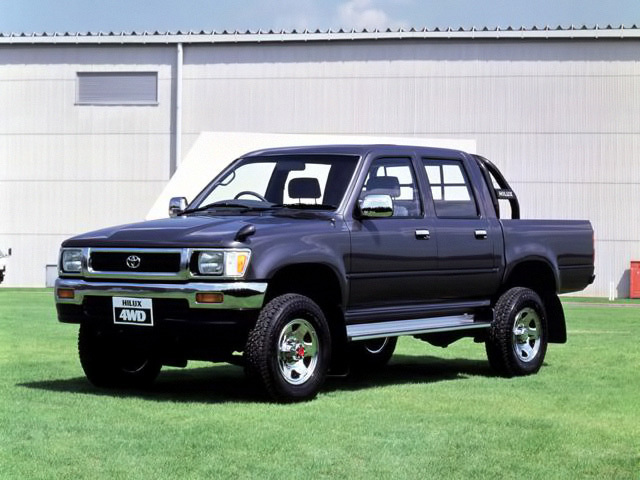 The 4th generation Hilux N40 was immediately characterized by attractively blistered arches and a renewed interior. It had a reputation for near-indestructibility; a fact that was underlined by BBC Top Gear in its ‘Killing a Toyota’ where Jeremy Clarkson & James May puts the Hliux N40 in all sorts of tests and found it really indestructible. 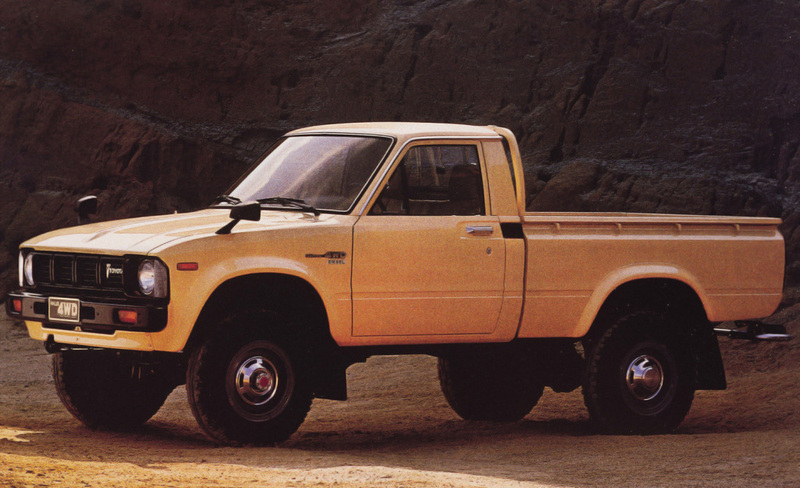 Single- and double-cab versions were available from launch, including a new raised-bed model with three bottom-hinged sides. 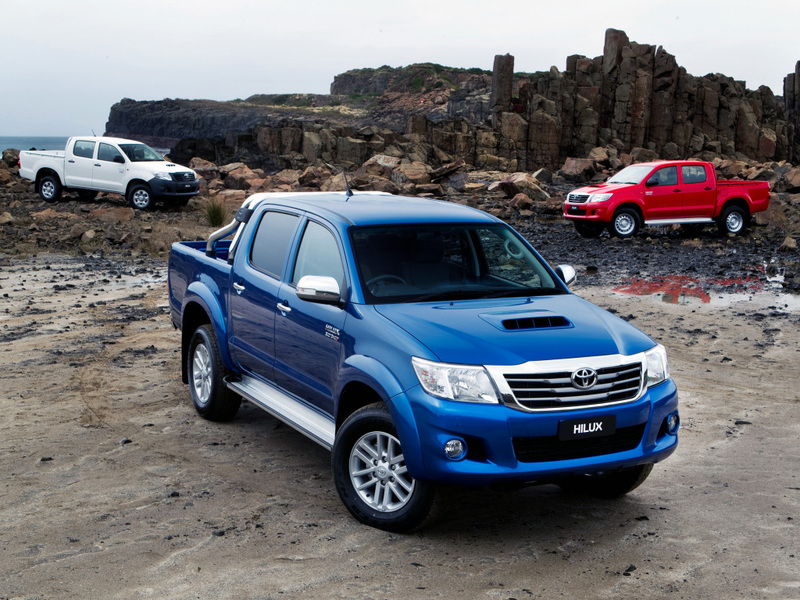 These additions increased the number of Hilux variants from 17 to 20. Related: From the Era When Cars Looked Like Cars.. 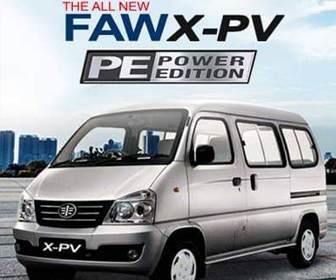 The rear-wheel drive models were available in four engines, 1.6 or 1.8-liter petrol, and 2.2 or 2.4-liter diesel, while four-wheel drive models used either a 2.0-liter petrol or a 2.4-liter diesel. 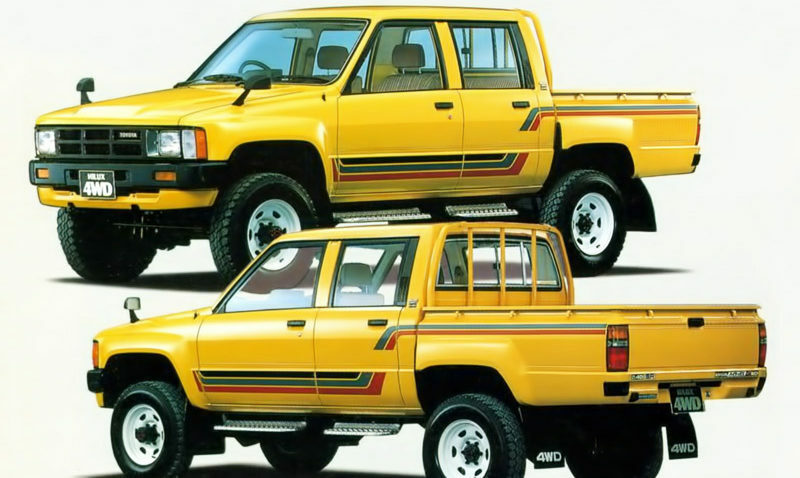 Another Hilux iteration was launched from May 1984 onwards called as the Hilux Surf or 4Runner which was essentially a three-door station wagon with off-road capability similar to that of the Land Cruiser. 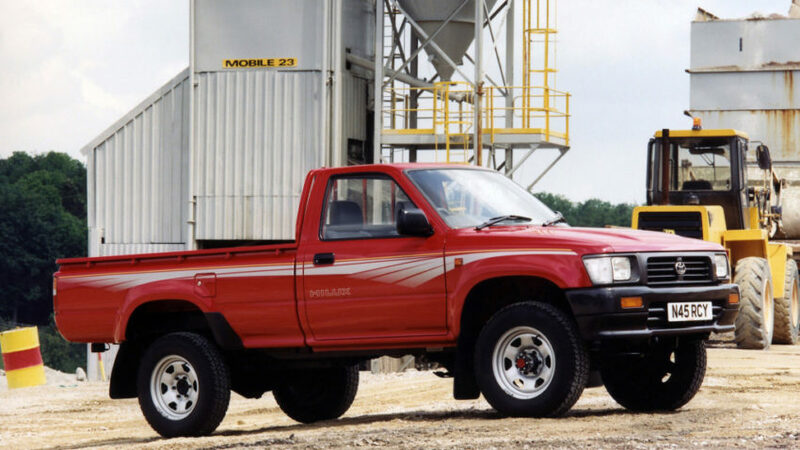 For Hilux Surf, Toyota modified the short-frame bed of the Hilux, removing the bulkhead from the back of the cab, adding a one-piece fiberglass-reinforced plastic canopy, fitting a bench seat in the back, and softening the rear suspension. Larger engines were fitted, including 2.4-liter turbo and 3.0-liter V6 petrol engines, though the larger dimensions of these units required the development of a wider front track and the switch from a solid front axle to an independent setup. 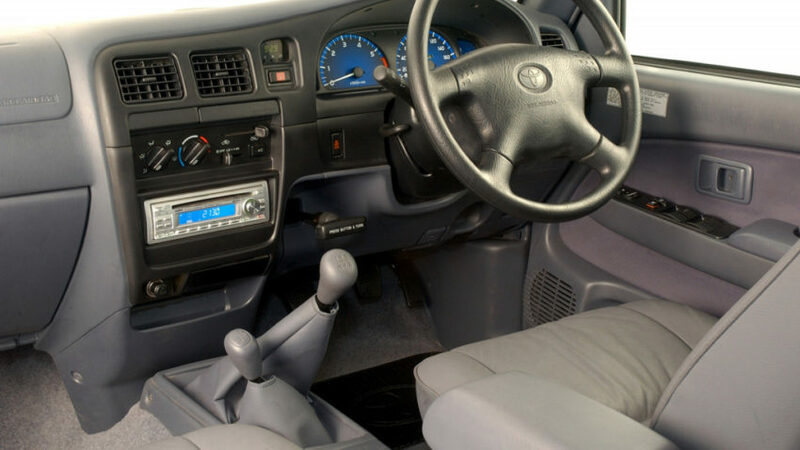 September 1988 saw the introduction of the new fifth-generation N50 chassis Hilux, with revised bodywork that represented many visual and physical improvements over the out-gone version. 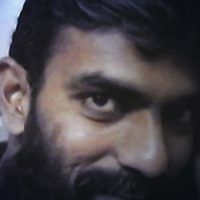 The engine range differentiated between four- and rear-wheel drive models; the latter either received a new 1.8-liter Y-series petrol or 2.4-liter L-series diesel, the former a plucky 2.0-liter Y-series or 2.8-liter diesel. Later in the N50’s production the engine range of the rear-wheel drive models was upgraded to match that of the four-wheel drive versions. 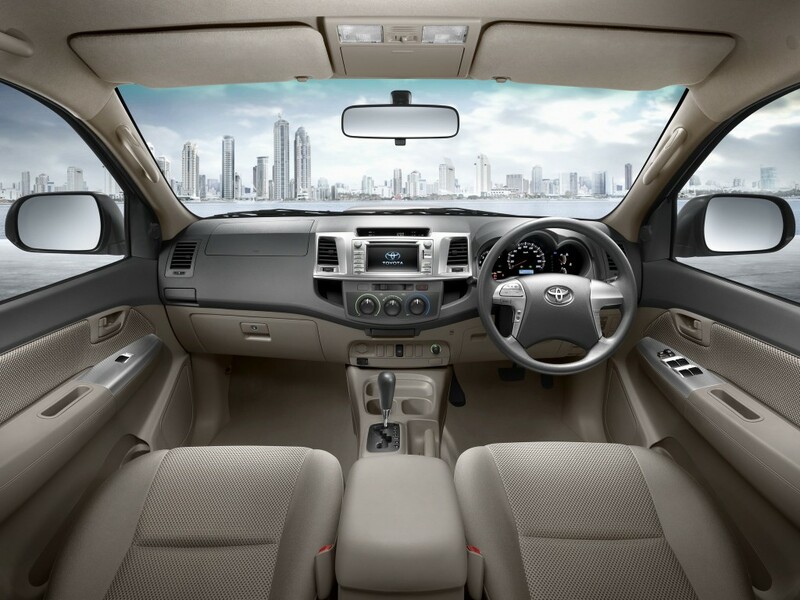 The 3.0-liter V6 petrol engine was reserved for double-cab models and the second-generation Surf/4Runner. In order to diversifying customer needs, the number of rear-wheel drive models available with the four-speed automatic gearbox was increased. 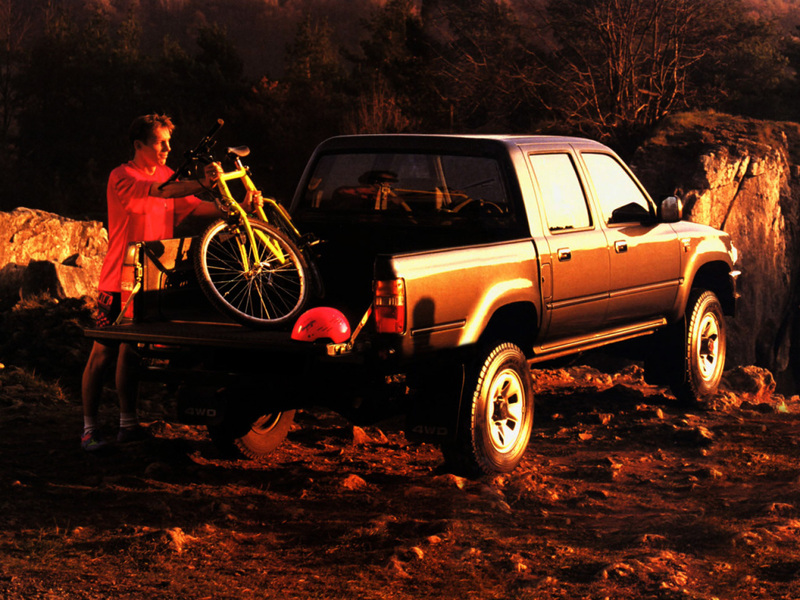 The second-generation Hilux Surf/4Runner arrived for the 1990 model year, again built on the Hilux platform, and were almost identical from the B-pillar forward. However, whereas the first-generation model had a simple FRP structure on top of the pick-up bed, the new car featured a fully integrated steel body with five doors and all-new coil sprung rear suspension setup. 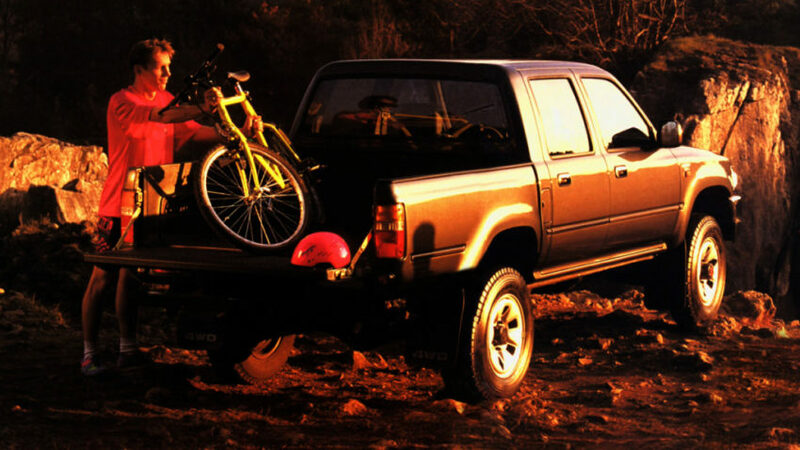 This model was discontinued in 1995, and from its third-generation onwards the Hilux Surf/4Runner switched to use the Land Cruiser Prado platform. 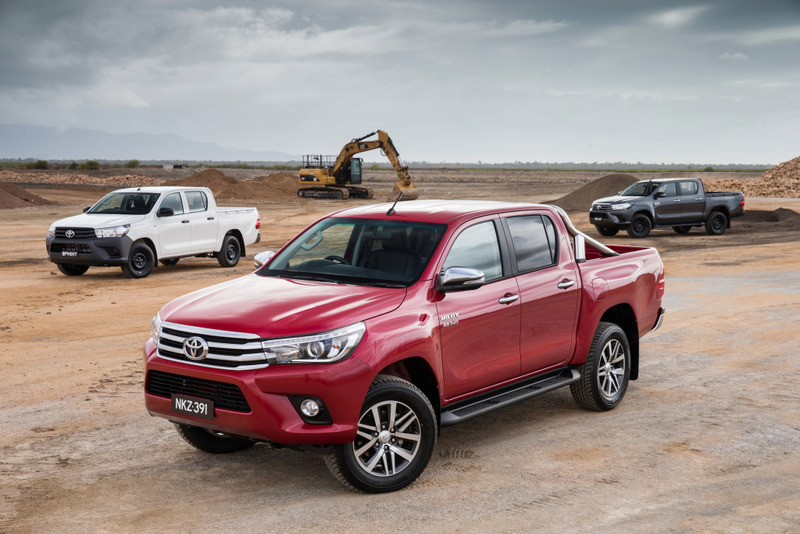 With the multipurpose Hilux Surf/4Runner range now forging ahead independently, Toyota refocused on the new sixth-generation Hilux range into two clear categories: business use and personal use. 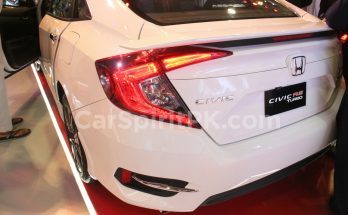 The 6th generation was introduced in Japan in September 1997 and is easily distinguished from previous generation models by a swage line that gently tapers downwards toward the front indicators. As usual, it was available with two- or four-wheel drive transmission options and either single- or double-cab body configurations. 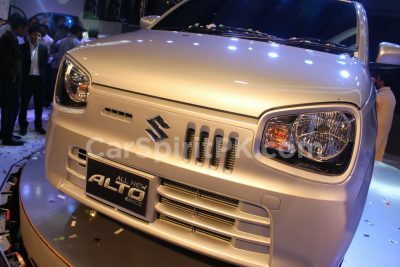 The engine line-up consisted of 2.0- and 2.7-liter four-cylinder petrol units as well as 2.4-liter turbo and 3.0-liter naturally aspirated diesels. The biggest change for the sixth-generation was that all Hilux models now came with independent front suspension – the first time in the history of the Toyota Hilux. 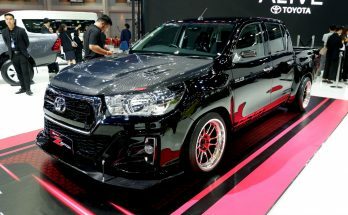 Based on a modified version of the N60’s ladder frame underpinnings, the seventh-generation N70-chassis Hilux grew significantly in stature to become classified as a mid-size pick-up (the platform was also adapted into an SUV for the Toyota Fortuner model). This change gifted the car with greater road presence, interior space, and load capacity..
A new twin-cam 3.0-liter 16-valve D-4D diesel engine became available in January 2007 to supplement the existing 2.5-liter D-4D, thereby elevating the entire range to Euro 4 emissions standards. A comprehensive re-styling was applied in October 2011 for the 2012 model year, encompassing smoother architecture from the A-pillar forwards. 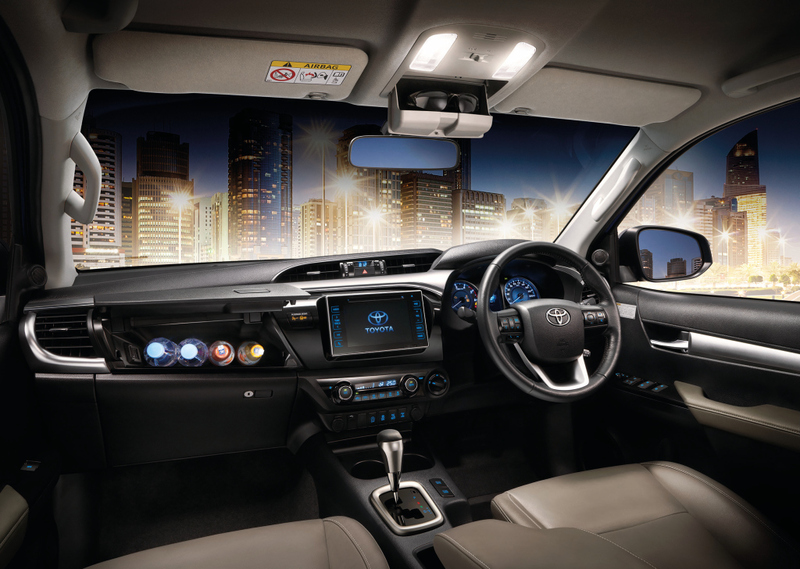 Inside, the upper dashboard was new and housed the latest versions of the Toyota touch-multimedia system for all mid- and high-grade models. The two diesel engines now met Euro 5 emissions regulations while being more powerful and economical than ever before. 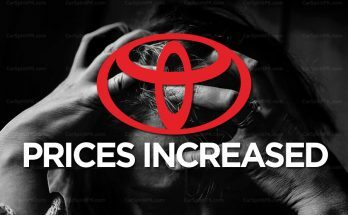 By 2015, Hilux had accumulated 16 million sales worldwide, and Toyota clearly had no intention of losing Hilux’s reputation as the complete and super-tough motoring solution for its eighth generation. 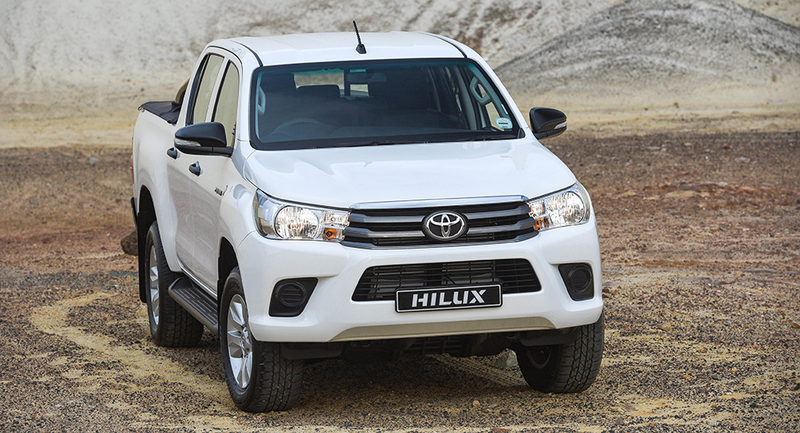 The eighth-generation Hilux was launched in May 2015. To truly understand what customers expect and the challenges they face on a daily basis, the development teams traveled the globe, getting direct feedback from customers and driving on a wide variety of different roads to get a feel for different usage conditions. 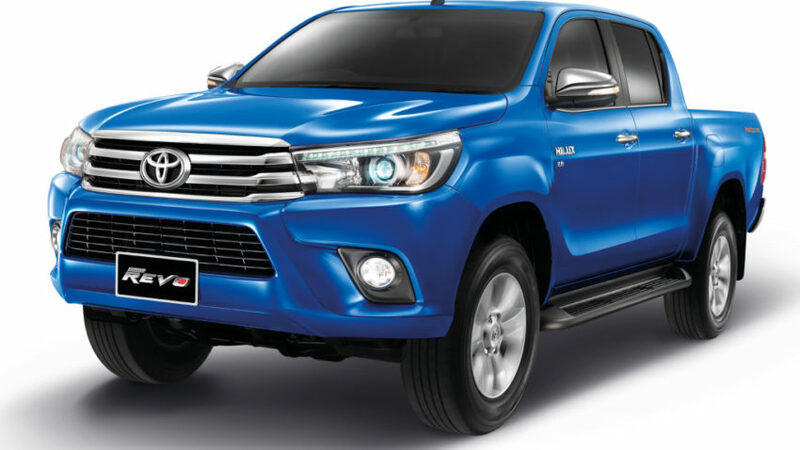 Again available in Single Cab, Extra Cab and Double Cab body styles, the 8th generation Hilux advances the legend and redefines toughness with a stronger ladder chassis, reinforced deck structure, enhanced all-wheel drive capabilities and improved towing capacity. The 8th gen Hilux uses Toyota’s new ‘Keen Look’ design language with slim projector headlights and LED DRLs (Daytime Running Lights). This generation also features Toyota’s first autonomous emergency braking (AEB). 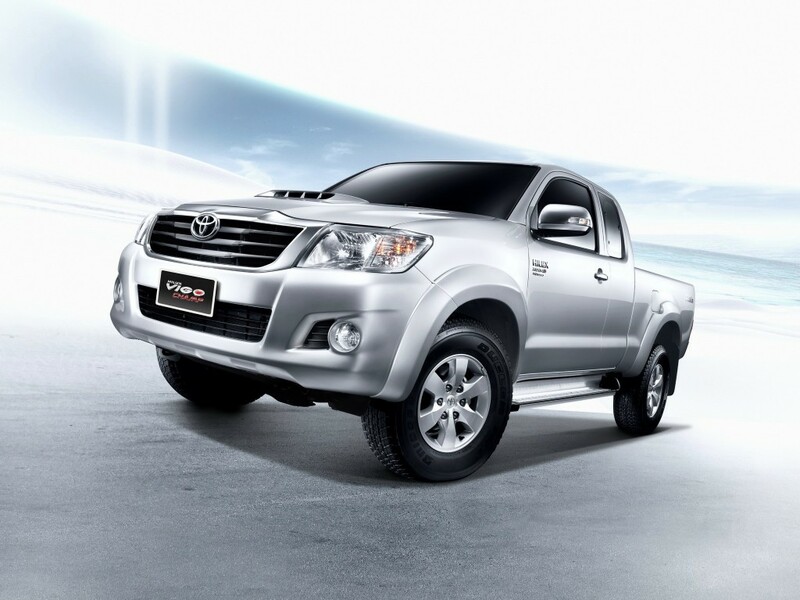 The 8th gen Hilux comes with a variety of engines depending on the market where it’s sold. A new GD 2.4-liter, 2.8-liter and KD 2.5-liter, and 3.0-liter diesel engines are combined with a five- or six-speed manual transmission or a five- or six-speed automatic transmission with sequential shift. The 2.8-liter GD engine was introduced in May 2015 at the 36th International Vienna Motor Symposium. The 2.0, 2.7- and 4.0-liter petrol engines from the previous generation are reused with a Dual VVT-i update to increase power and torque. In Pakistan the 8th generation Hilux comes with a 2.5 liter 2KD-FTV common rail diesel engine in single and double cabin variants with 6-speed manual transmission, as well as a flagship Hilux Revo version, with 2.8 liter 1GD-FTV common rail diesel engine that comes equipped with manual as well as automatic transmission option. 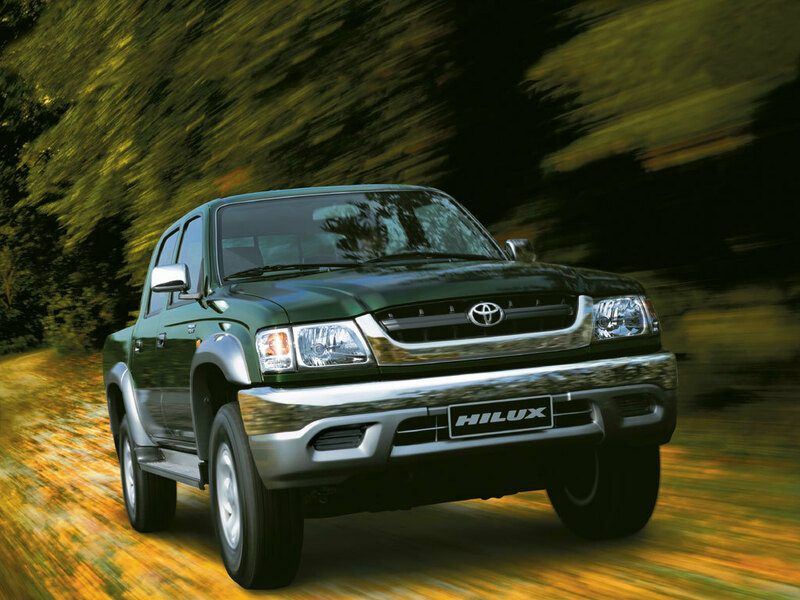 Like other markets across the globe, the Hilux is an extremely successful in Pakistan and is considered as an undisputed champion in the pickup truck segment, for commercial as well as recreational purposes.